San Antonio Mayor Julian Castro was approved by the U.S. Senate Banking Committee today as head of the Department of Housing and Urban Development (HUD). Castro was previously nominated for the position by President Obama earlier this year. New advances in technology could provide greater ease and functionality to the housing industry. Startups in addition to new applications for computers and smartphones are changing the traditional ways real estate agents advertise and showcase their listings. Maria Contreras-Sweet—SBA Administrator—spoke last week at the Center for American Progress in Washington D.C. regarding entrepreneurial equality. She emphasized the growing number of women and minority entrepreneurs in the United States while explaining new initiatives on behalf of the SBA. Advocating for change, more than 300 women business owners and their leaders descended on Washington, D.C. packing one of the largest Congressional hearing rooms on Capitol Hill to standing room only. Congressional hearings rarely draw this kind of attendance or celebrity, but both were on display for a July 23, 2014 hearing, “Empowering Women Entrepreneurs: Understanding Successes, Addressing Persistent Challenges, and Identifying New Opportunities,” chaired by newly appointed Committee Chair Maria Cantwell (D-WA). The hearing, which coincided with the annual conferences of Women Impacting Public Policy (WIPP) and the Association of Women’s Business Centers (AWBC), featured witness testimony from Maria Contreras-Sweet, Administrator of the Small Business Administration, Barbara Corcoran, host of the hit ABC TV series “Shark Tank,” Nely Galán and women entrepreneurs who spoke of their experiences – both the successes and the struggles – of starting and growing businesses. The hearing was broken into three separate sessions: access to capital, access to federal contracts, and access to counseling and training. The takeaway was simple: there are federal policies that can help women business owners in each of the three areas and the Congress should act on them immediately. 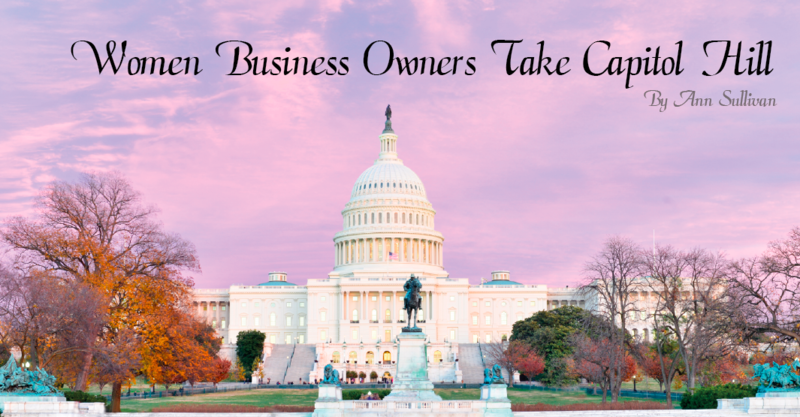 The reaction from the Senate was swift; one week after the hearing, Committee Chair Cantwell and six of her Senate colleagues introduced legislation, appropriately titled the Women’s Small Business Ownership Act of 2014, S.2693. The Senate bill was largely founded on a report released by the Committee in July, 21st Century Barriers to Women’s Entrepreneurship. 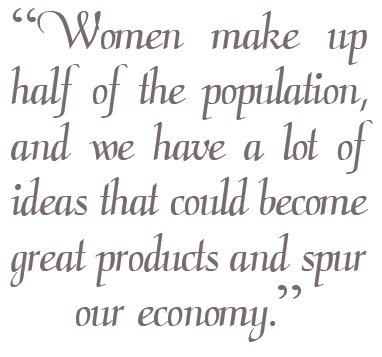 The findings are summarized neatly – yet alarmingly – into two short sentences: “In the 21st Century, women entrepreneurs still face a glass ceiling; while women-owned firmsare the fastestgrowing segment of businesses, and many succeed, women must overcome barriers their male counterparts do not face.” The report highlights the fact that women businesses generate $3 trillion in economic activity and support more than 23 million jobs, but continue to face significant obstacles when it comes to business ownership. More specifically, the Senate report identified critical challenges women confront in three issue areas: access to capital, access to business training and counseling, and access to the federal marketplace. According to the report, women entrepreneurs account for just $1 out of every $23 in small business lending in the United States, despite representing 30 percent of all small companies. Women’s Business Centers (WBCs) provide entrepreneurial and business training to women entrepreneurs (which they do efficiently and effectively at a cost of approximately $137 per entrepreneur) but are stretched extremely thin with most states having just one center with a small staff.Despite a 500 billion dollar a year federal marketplace, women-owned small businesses got only 4.3 percent of federal contracts in FY2013, despite a Congressionally mandated goal of five percent. The bill enhances the SBA’s Microloan program by allowing lenders in the program to increase overall lending capacity to $7 million and by offering more flexible loan terms, and improved business counseling and technical assistance. This legislation also makes the SBA Intermediary Lending Program permanent and would extend for one more year the fee waiver on 7(a) business loans below $150,000. Together, these changes would allow for greater access to capital for women-owned businesses. If you do not know about these lending programs, go to the Small Business Administration’s website. To boost support and modernize the national network of Women’s Business Centers, the bill increases funding of the program from $14.5 million per year to $26.75 million and increases the maximum grant award from $150,000 to $250,000. The bill also requires that a formal set of program guidelines be issued and reinstates the SBA’s authority to waive the federal matching requirement. Finally, the legislation would provide sole source authority in the Women-Owned Small Business (WOSB) Procurement Program. Currently, government agencies must find multiple women-owned small businesses capable of competing for a contract before the WOSB program can be used. Sole source authority removes this burden, making it easier for agencies to award contracts to women through the program. It is also a matter of fairness, as the WOSB is the only government small business contracting program that does not have sole-source authority. These policies are important and advocates such as WIPP, the AWBC, and the Association for Enterprise Opportunity (AEO), are working hard to see them signed into law. The sheer number and awe-inspiring presence of so many women – who traveled from all over the country – to unite in support of a common cause was powerful. The hearing room, more typically accustomed to hushed tones and wonky exchanges, was packed to the brim with successful women business owners ready to act. While organizations dedicated to assisting women business owners will press for enactment, it is the push from each woman business owner in the country that will make the difference. Together, we can break through the glass ceiling that now limits women businesses from reaching their full potential. 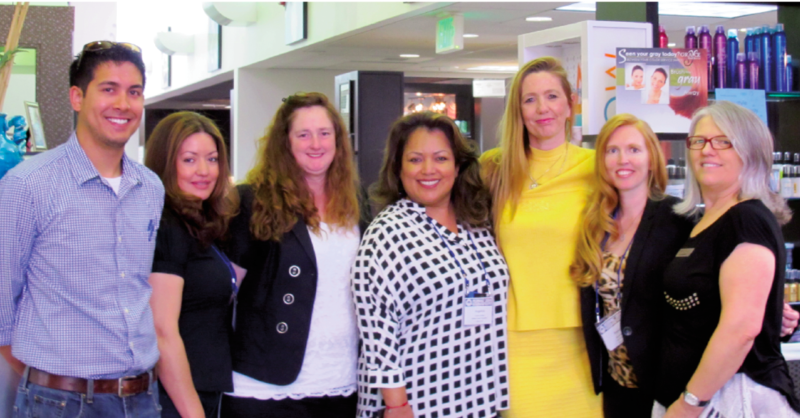 The National Association of Women in Real Estate Businesses (NAWRB) in partnership with the U.S. Small Business Administration (SBA) Santa Ana District Office presented the Women in Housing Financial Fitness Road Show this month at the Lutron Experience Center in Irvine, CA. NAWRB’s Inaugural Women in Housing Financial Fitness Road Show is a first-of-its-kind, breakthrough program for women in all industries within the housing economy. More than just tools to navigate women’s existing business through the changing terrain, NAWRB’s Women in Housing Financial Fitness Road Show reached a whole new level. Utilizing a specialized hybrid of women in housing and women in government outreach, women can take advantage of our Fast Track niche. By connecting women with federal and local programs, set-asides, funding options and contracting opportunities available to grow their businesses both vertically and horizontally, women in housing will have the awareness to sustainable growth and live beyond commission to commission. 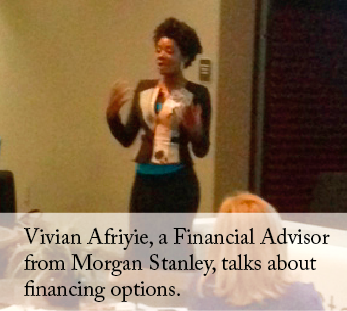 Hosted by Morgan Stanley, Vivian Afriyie—a Morgan Stanley Financial Advisor—opened the event in dramatic fashion showcasing asset based loans vs. traditional income and credit based loans. Recently, Morgan Stanley closed a 150 million dollar commercial real estate loan in six weeks. 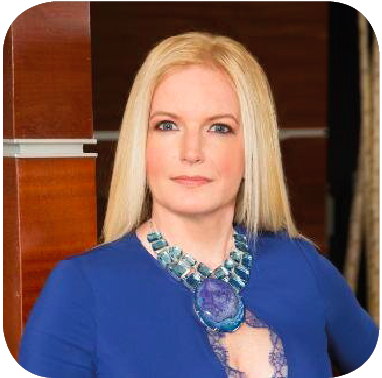 “Bringing the shock treatment with our takeaways from $25,000 SBA business loans to the $200 million dollar Morgan Stanley Diversified Securities-based loans for clients, really ignited the awareness in the room,” stated Desirée Patno, CEO and Founder of NAWRB. “Thank you for having the vision and for putting it all together! It was a great event!” -U.S. SBA-Santa Ana District Office, Economic Development Specialist Sylvia Gutierrez. The resources and opportunities are out there. If you want to be part of the Road Show or have it travel to a city near you, email us at Roadshow@NAWRB.com. Make a difference and join the movement bringing awareness, opportunities, and access to women in housing. With more aggressive lending compliance standards and regulations in 2014, lenders have been scrambling to implement internal systems in order to comply. Every real estate professional should understand the central issue that will impact their clients who obtain loans at the closing table: the “Ability to Repay” Rule (ATR). The momentum behind ATR is to reduce systemic fraud, reduce borrower litigation in order to correct faulty lender underwriting guidelines, and protect local markets from predatory lending or price fixing. Earlier this year, JPMorgan and Bank of America initiated lawsuits against the national title insurance underwriters for their local agents’ failure to identify fraud. Whether this failure was due to compliancy or complicit behavior is no longer relevant in the new lending era of Dodd-Frank. Higher standards make each participant vigilant on compliance and identifying fraud with more checks and balances from the loan processor to the closing table. It is now the agent’s duty to determine if the ATR rule and the supporting paperwork are correct. Every aspect of the loan is now scrutinized, even the title insurance underwriter, closing office, and closing attorney. One such new “checks” at the closing table are 3rd party verification services. For the first time in my 18 years as a real estate attorney, my office was required to go through a 3rd party vetting process prior to the lender sending over a title request on a loan. It was an interesting process performed by The Title Attorney Support Team/ Q&A Department of a servicer. The lender’s name was withheld and the request only identified the property, not the borrower. Disclaimers were pronounced advising that this was not a request to prepare a title package for closing but a verification of my company’s authenticity and HUD compliance practices. My underwriter was contacted to confirm my license and I was required to produce references. This entire process took approximately one week. Moving forward, expect to see more 3rd party vendors being used to verify the borrower’s information, property details and closing transaction procedures. Lenders now view the closing agents as the front lines to verify if a transaction is legitimate under the ATR and with a wave of 2014 lawsuits against title insurance underwriters for their agents’ failures, I think the trend of passing compliance issues onto the local closing table will continue. You can never substitute passion with hard work but you can use hard work to succeed with your passion. It’s no secret that trends within the mortgage and lending industries can fluctuate significantly from quarter to quarter. Countless factors such as the economy, new legislation, and changing demographics can impact these shifts. With the ever-changing financial landscape, we have pinpointed the most current and prevalent mortgage and lending trends of 2014. Mortgage loan volumes have experienced a consistent drop across all lenders throughout 2014. In the first quarter, lenders made a total loan volume of $226 billion, an all-time low amount that hasn’t been achieved since 1997. One of the largest lenders, Wells Fargo, took the hardest hit with a 67% drop in originated residential mortgages. One explanation for the steady decline in mortgage volume is due to the Federal Reserve’s mission to taper stimulus cash. As a result of the tapering, interest rates rose by a percentage point. The rise in interest rates has caused more people to become weary of refinancing which is correlated to the drop in mortgage volumes. One variable has contributed significantly to the drop in the nation’s total loan volume: all-cash purchases. With rising interest rates, all-cash purchases have become a major contender among transactions in the housing economy. Interest rates are hardly the only reason though. Older generations are downsizing their current homes in favor of smaller homes. 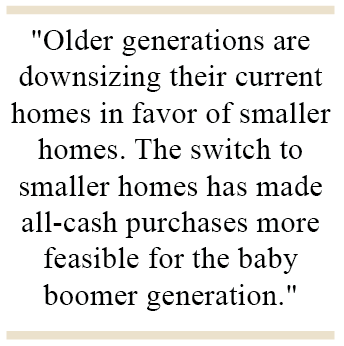 The switch to smaller homes has made all-cash purchases more feasible for the baby boomer generation. Foreign investors buying property in the United States have also resulted in a large percentage of all-cash purchases. Buyers from China alone have spent $22 billion on properties in the United States. Foreign buyers tend to be members of the upper middle class and upper class of their respective countries. Waning economies and volatile political regimes have fueled many international buyers to make all-cash housing purchases in the more stable environment of the United States. In the first quarter of 2014, all-cash purchases accounted for a record high of 43% of transactions. This trend in conjunction with tighter lending standards has predictably led to less lending. 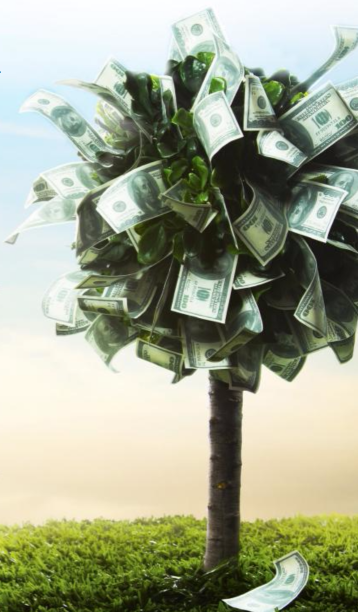 As far as domestic purchases are concerned, the all-cash trend could prove to be a temporary fixture as some lenders have joined a movement to lower lending standards. Lenders anticipate that looser lending standards will create a shift from skyrocketing all-cash purchases to more loans. 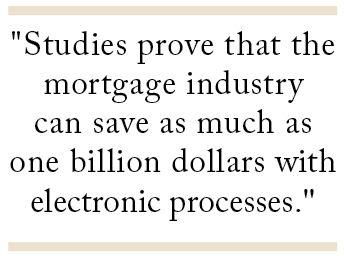 Processes within the mortgage industry require a great deal of paperwork, as many people know. It is not unusual for cumbersome paperwork to prolong the process of closing a mortgage and processing miscellaneous loans. Although some measures have been taken to reduce waste, the U.S. Small Business Administration (SBA) and Fannie Mae are taking it a step further by implementing new programs and initiatives. Maria Contreras-Sweet—24th Administrator of the SBA—recently announced an SBA agenda filled with new initiatives at the Center for American Progress in Washington, D.C. One such initiative includes the introduction of digital processes in favor of traditional yet time-consuming faxes and paperwork. The SBA will usher in a new era filled with electronic signatures and the ability to upload and generate documents. The switch is projected to save not only thousands of dollars but hours of time. Fannie Mae has joined the digital trend and has commissioned a team to tackle common problems within the mortgage industry. The team identified a lack of electronic processes as the source of many issues within the industry. They found multiple solutions to amend the issue and say as much as $1 billion can be saved with electronic processes. The Consumer Financial Protection Bureau (CFPB) has also taken steps to evaluate what must be done to make an electronic switch. Although it could take years to apply the findings of both groups, it is clear that industries are finding the need to adapt to rapidly evolving technology. Nevada—the state with the highest incident of negative equity in residential properties—experienced a 16% drop in the amount of residential properties with negative equity when compared to the first quarter of 2013. Negative equity is forecasted to further decline as the year progresses and home prices steadily increase. Elderly Americans carry more mortgage debt throughout their retirement years. An overwhelming amount of senior citizens—those 65 and older—not only have increased mortgage debt but increased credit card debt. The latest statistics provided by the Consumer Financial Protection Bureau (CBPB) reveal that from 2001 to 2011, the amount of elderly homeowners with mortgage debt increased by 2.3 million. Rising home values and the trend of people purchasing their first homes in the latter half of their lives all contribute to the increase in mortgage debt. Purchases that contribute to credit card debt appear to be directly related to the relaxed lifestyle most people envision in their retirement years. The idea of retirement for many evokes thoughts of traveling, trying new hobbies, and enjoying leisure time in general. The top expenses among the senior citizen demographic include new automotives, recreational items such as technology gadgets and camping supplies, and miscellaneous purchases for pets. Experts stress that aging generations must account for a shift in expenses as they reach their retirement years. For example, medical expenses will become a larger factor in a retirees’ budget than compared to someone in pre-retirement years. Experts stress that with careful planning and well-thought spending plans, the growing trend could lessen in the future. The Color Guard by The Sunburst Youth Academy opened the 29th California Women’s Conference with an exciting show at the Long Beach Convention Center. 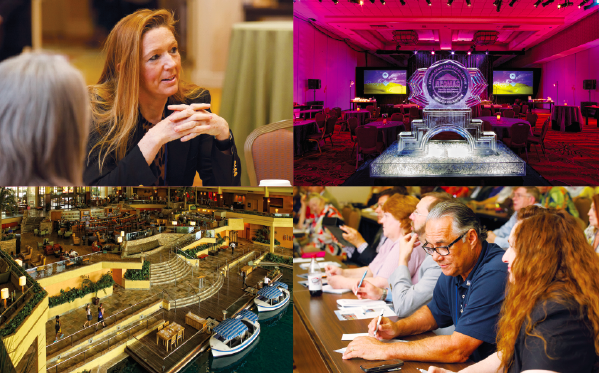 Each year, the conference gathers talented performers, doctors, successful entrepreneurs, and many more to provide an unparalleled experience for attendees. From entertainment, to financial seminars and health talks, the conference had a presentation to interest anyone. 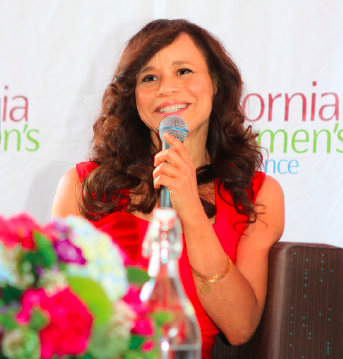 In the past, the California Women’s Conference has hosted notable speakers such as Barbara Walters, First Lady Michelle Obama, his Holiness the Dalai Lama, and Condoleezza Rice. 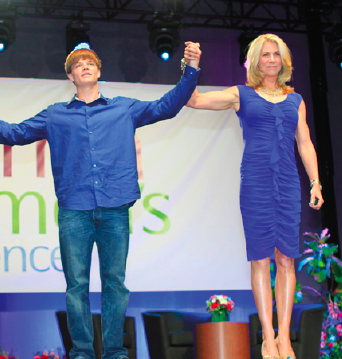 Some of this year’s powerful and inspiring speakers included Arianna Huffington, Rosie Perez, and Ursula Mentjes. The conference—open to both men and women—lasted two full days from morning to night. Michelle Patterson, President of the California Women’s Conference (CWC), welcomed attendees after the opening ceremony. Patterson’s theme for the conference was “Better Together” and made it clear that the next coming days would be filled with inspiration, thought-provoking presentations on pressing topics, and lighthearted fun via live concerts. An extensive amount of exhibitors—106 total—displayed their booths at the convention center as well. The booths ranged from fashion jewelry vendors, teen magazines, universities, and women’s organizations. 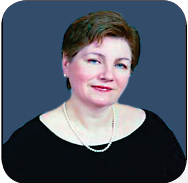 Sales and Business Development Expert Ann Marie Houghtailing held multiple presentations throughout the conference regarding finances. Houghtailing created her own successful company involving boutique sales and business development. Since then, she has written a book, spoken at TEDx, and has launched the Institute for Sales and Business Development in partnership with a private university. Houghtailing’s goal at the conference was to help both men and women achieve financial freedom through analyzing and changing personal behavior. She successfully blended humor with informative financial awareness practices to captivate attendees at the first financial presentation of the day, Disrupting and Dismantling the Five Beliefs that are Compromising your Financial Freedom. The conference had a unique aspect that attracted people of all ages. Unlike other conferences, a section of each day was devoted to student programs that were produced by young people for young audiences. Topics of these student-themed presentations included 3 Things Every Young Woman Must Know, Flip Your Flaws, Follow Your Dreams, and various performances. As the presentations came to a close each day, fun events took the stage. Monday night’s festivities started with a wine and cheese reception for V.I.P’s—an excellent way to network while sipping wine and sampling appetizing cheeses. Finally, a concert on the main stage brought people to their feet on both days with a lively party atmosphere. Performers included Grammy-nominated singer Mary Lambert, Nathan Osmond, Sarah Blaine, and Blessid Union of Souls. As Tuesday night approached, Michelle Patterson and other presenters announced the winners of the online silent auction that was conducted earlier. Prizes varied from categories such as collectibles, technology gadgets, and services although many attendees had their eyes on the trip to the Riviera Maya in Mexico and Los Angeles Angels Experience. The auction and final concert made for a memorable end to the two-day conference. NAWRB CEO Desirée Patno attended the conference. The following is her personal experience. CEO and Founder of EmpowerHER.com Michelle King Robson (left) and President of the California Women’s Conference Michelle Patterson (right) pose for a photo at the conference. 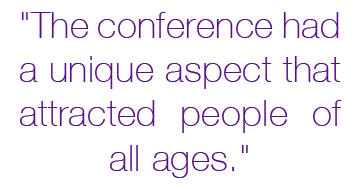 “The conference was almost shut down two years ago due to budget cuts. However, private intervention allowed the conference to come to fruition and portray some incredible messages with profound statements from some powerful women. It was definitely well worth the experience and demonstrates that with purpose and direction, true value can be achieved. It is no doubt that the Dodd-Frank Wall Street Reform and Consumer Protection Act is the most comprehensive financial regulatory reform measure to be executed since The Great Depression. 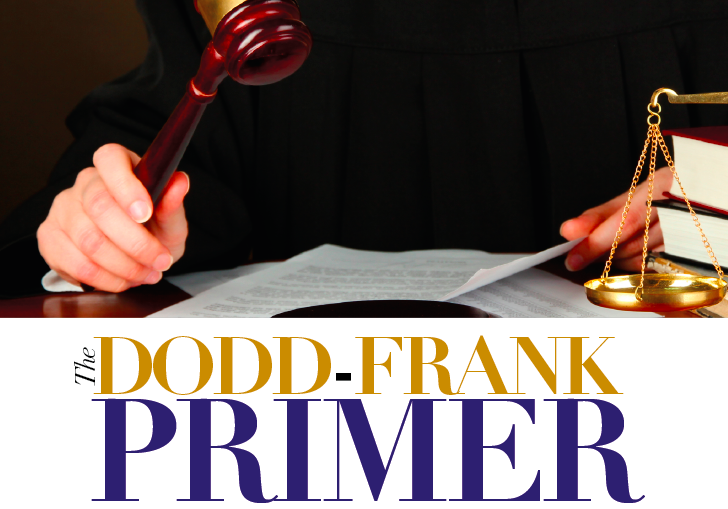 While the comprehensive bill consists of sixteen titles, with numerous provisions spelled out over thousands of pages, herein is an attempt to summarize key points, for a broad understanding of how Dodd-Frank relates to those of us participating in the housing economy. The aim of the legislation is to secure the financial stability of the U.S. financial system by requiring accountability and transparency, to protect taxpayers by eliminating bailouts, to protect consumers from abusive lending practices, to create rules regarding executive compensation, to eliminate loopholes that led to 2008 economic recession, and more. The numerous government agencies regulating financial institutions had varying standards led to some entities having little or no financial oversight, as compared to their peer financial firms which are classified according to different charters. The Dodd-Frank Act overhauls the existing agency oversight system in an attempt to maintain standards and visibility across all financial institutions and the agencies that govern them. The Dodd-Frank Act changes the existing regulatory structure by establishing new oversight agencies while combining or eliminating others, to increase transparency of the regulatory process, and also to tighten oversight of specific financial institutions that pose ‘systemic risk’. The changes are purported to create economic stability, while a council was formed to act as a warning system to prevent future crashes. New regulations affect the registration, disclosure, and reporting requirements for asset-backed securities and other structured finance products. Financial institutions are required to absorb more of the credit risk from securitizations, as well as implement accounting changes. Before Dodd–Frank, investment advisers were not required to register with the SEC if they had less than 15 clients during the previous year, and did not present themselves to the public as an investment adviser. This exemption is now eliminated, thereby rendering numerous investment advisers, hedge funds, and private equity firms subject to the same requirements and larger institutions and investment groups. Certain non-bank financial institutions will be supervised by the Fed in the same manner as if they were a bank holding company. Title VII, also known as the Wall Street Transparency and Accountability Act of 2010, demands a comprehensive regulatory reform on derivatives (derivatives are one of the three main financial instruments, the other two being equities such as stocks, and debt, such as bonds/mortgages). A derivative’s price is dependent upon (derived from) one or more underlying assets; its value is determined by fluctuations in the price of the underlying asset. The most common underlying assets include stocks, bonds, commodities, currencies, interest rates and market indexes. Most derivatives, such as futures contracts, forward contracts, options and swaps, are characterized by high leverage, and therefore should be considered to have systemic reach. Dodd-Frank has an enormous impact on loan officers and mortgage brokers, requiring that all loan originators must now be licensed, registered, and issued a unique identifier. They are prohibited from charging more than three percent for all loan origination costs, which inhibits the ability of banks to offer mortgages on homes priced below $160,000. Restrictions apply to ensuring that borrowers meet debt-to-income requirements to prevent predatory lending, and interest-only and negative amortization loans are greatly limited. Other rules were aimed at limiting debit card fees, such as interchange fees, protecting consumers while costing banks billions of dollars in transaction-related fees. In response to the costs that the legislation places on banks, some banks have ended the practice of giving their customers free checking, and some small banks are no longer able to provide mortgages and car loans. 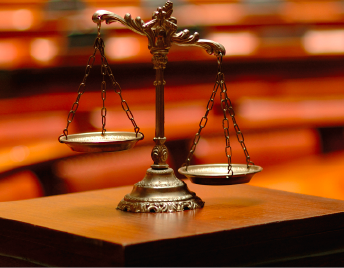 Borrowers now have the ability to sue lenders for misjudging their ability to repay a loan, forcing smaller lenders to exit the mortgage lending market due to increased risk. The Act established the SEC Office of Credit Ratings, since some credit rating agencies were accused of giving inaccurately positive investment ratings that helped contribute to the financial crisis. The goal of the office is to make certain that agencies provide reliable, accurate credit ratings. Named after former Federal Reserve Chairman Paul Volcker, the Volcker Rule was enacted based on the premise that speculative trading played a significant part in the financial crisis. The provision bans banks from making speculative trades with their own money, and limits their activity in certain private funds, as this activity may contribute to systemic risk). Therefore, most US banks are prohibited from proprietary trading, and covered institutions are prohibited from owning, sponsoring or investing in hedge funds or private equity funds. Unaware as to how auction rate securities and the secondary securities market functioned, many investors did not see the financial crisis coming. Numerous ponzi schemes were exposed, causing investors to lose millions, and eventually lose faith in those with custody of their funds. The provisions of the Dodd-Frank Act aim to boost investor protection and confidence, hoping to bring investors back to capital markets. In response to growing concerns over executive compensation in public companies, specific provisions now require new stock exchange listing and proxy statement standards, and further regulated disclosures for all public companies soliciting proxies or consents. As a result, corporations will have to change the structure of their compensation committees, as well as implement new governance and compensation policies. The bill establishes an Office of Minority and Women Inclusion that promotes employment and contracting opportunities to address diversity matters. The offices will coordinate technical assistance to minority-owned and women-owned businesses and establish diversity requirements throughout various industries. There have been mixed reviews regarding the Dodd-Frank Act. Some critics argue that the legislation is too severe, that it limits job opportunities and prevents competition among financial institutions, however, we can perhaps all agree that industry needed oversight, overhaul and accountability. The Act requires that regulators and oversight committees create 243 rules and conduct 67 studies, many of which are not complete. Therefore, it is premature to attempt to theorize on the efficacy of the legislature until the market begins to correct itself after the new regulations are in effect. You can expect more on the topic in future issues of N Magazine, as the Dodd-Frank Act begins to put down more solid roots in the U.S. economy. Change, connection, and collaboration were the themes of this year’s spring REOMAC® annual education conference, held at the JW Marriott Desert Springs in Palm Desert, Calif. REOMAC® is a non-profit trade association serving the mortgage default servicing industry nationwide for over twenty-five years. 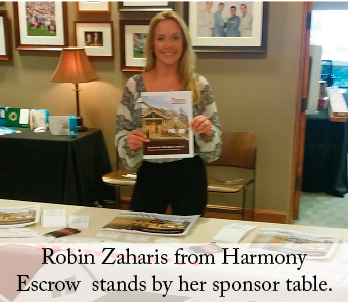 NAWRB hosted its 3rd Annual Salon Day, prior to the REOMAC kick off, which received rave reviews from participants who enjoyed being pampered while being educated. Kyle Wagoner, of the California Small Business Development Center (SBDC) in Coachella Valley, spoke to the group about various opportunities for free business consulting and low-cost training services (including working with a personal mentor). Wagoner discussed opportunities and provided handouts for attendees to leverage their existing skill sets to expand their business portfolio and grow their business. There’s nothing quite like walking out looking marvelous, including new hairstyles and colors, combined with the increased marketability and focus skill set – the timing was perfect! Agent training sessions were provided on Sunday by BLB Resources, Green River Capital, Round Point Mortgage, Precision Asset Management, PEMCO, RIO Genesis, iServe Real Estate Operations, Matt Martin Real Estate Management, LRES, Noteschool, Wells Fargo, and Equator to help serve the attendees with direct connection with their clients. Otis Felton, FDIC’s Corporate University Class Liaison, opened the conference, speaking about his personal and professional journey on overcoming several obstacles to come out stronger than ever. He is extremely happy and thankful for his blessings and gifted us with his words of wisdom. A REOMAC Speaker veteran, economist Christopher Thornberg, spoke about the market changes for 2014 and beyond. Thornberg gained national recognition after he made accurate predictions in 2006 of the housing crash and recession. Thornberg predicted the housing recovery to rebound by the end of the year, with the possibility of apartment oversupply in some locations. He said that 2013 ended on a strong note, with solid acceleration in the second half as consumers moved past the tax hit. State and local governments were beginning to come around by year-end 2013, and Thornberg said that the weather issues at the beginning of 2014 would have only a temporary effect on the economy. Commercial real estate will continue its slow recovery, and the energy sector will continue to boom. 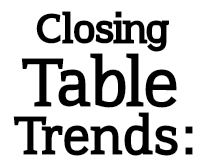 All in all, Thornberg said, 2014 will be better than 2013, but he warned attendees not to get too excited, because future economic challenges include debt-strapped local governments, tight bank credit and mortgage lending, and aging infrastructure. He did state that he expects a three percent growth range in 2014, to be exceeded in 2015, and another real estate market bounce in 2014. That evening, a charity auction featured sports memorabilia, jewelry, and purses, with bidding wars and exciting wins. 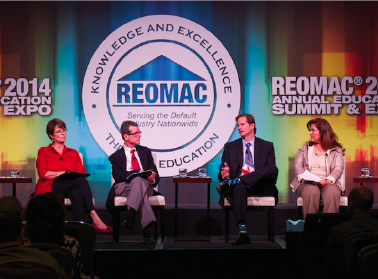 Monies from the silent and live auctions benefited the REOMAC® Foundation’s Scholarship Program. Other breakout session topics included “Community Revitalization” as well as “Best Practices for Selling Distressed Properties.” “The Best Practices for Selling Distressed Properties session gave us useful tools for our business,” said Nelson. Lender/servicer/outsourcer roundtables were also valuable parts of the summit, and relaxing massages were available at the Relaxation Lounge. Vendors at the event used the opportunity to discuss best practices and other helpful topics, while networking with clients. “The camaraderie and conversations at the summit gave us valuable insights,” said Patno. 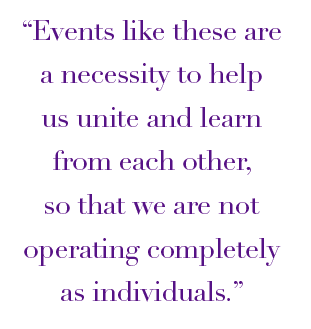 “Events like these are a necessity to help us unite and learn from each other, so that we are not operating completely as individuals.” We look forward to more REOMAC conferences. Kyle Wagner, Maria Barrigan, Heidi Robinson, Angelica Suarez, Desirée Patno, Brandy Nelson and Silvia Hernandez.